Hospitals are not comfortable. They are sterile, cold, noisy, and there is always activity going on, this alone can make it hard to rest. However, one of the biggest issues with hospitals is the constant noise. There are beeps, footsteps, and medical instruments making their own sounds. These noises happen non-stop through the night and even if you fall asleep, it can prevent you from entering REM or a deep sleep. When you are home, you no longer will be disturbed by these noises and you will simply be much more comfortable. Through our adult care services in Massachusetts, you can even receive much of the same care you would receive staying at a hospital. Thinking about the medical fees can stress you out to the point where you are too stressed to relax. Staying at a hospital for an extended period of time can be very costly, especially if you do not have insurance or good insurance. This stress can hamper your recovery. 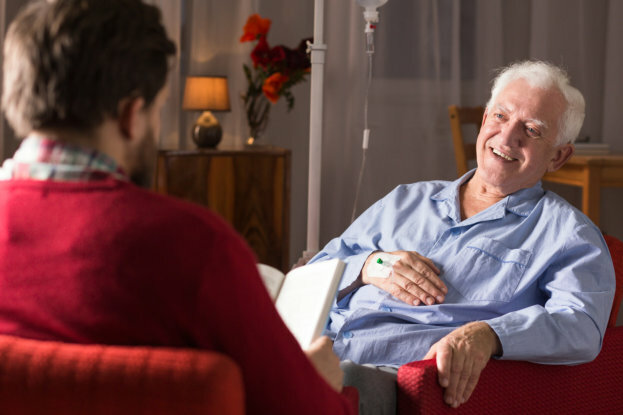 However, a home health care service is a more affordable solution that still provides the same quality nursing care but in the comfort of home. There are more things to do at home. Recovering at a hospital may only leave you with a few choices when it comes down to spending the time. Boredom can be a serious problem and it may even slow down your healing. When you are at home, you will have access to many of the hobbies you normally do such as watching your favorite movies, playing games, or simply relaxing in your own bed. Those are just three of the many different reasons why it is better to recover in the comfort of home and through our services, we can make sure you can get back on your feet as soon as possible. If you want to find out more about our services, please get in touch with us at Prestige Health Care Services, Inc. anytime for more information. This entry was posted in Healing at Home and tagged better pastime, improved rest, more affordable solution, nursing care. Bookmark the permalink.